Chimneys have always been a necessary part of everyone’s kitchen. Getting rid of the oil and dust particles from the air, thereby also helping you keep the kitchen clean. However, now you need to clean the chimneys on a regular basis. Not any more. Auto clean chimneys (as the name suggests) take away the headache of cleaning them on a regular basis. Hence I have come up with this list of Best Auto Clean Chimneys in India. For people who do not wish to go through the entire article can refer to this summary section. 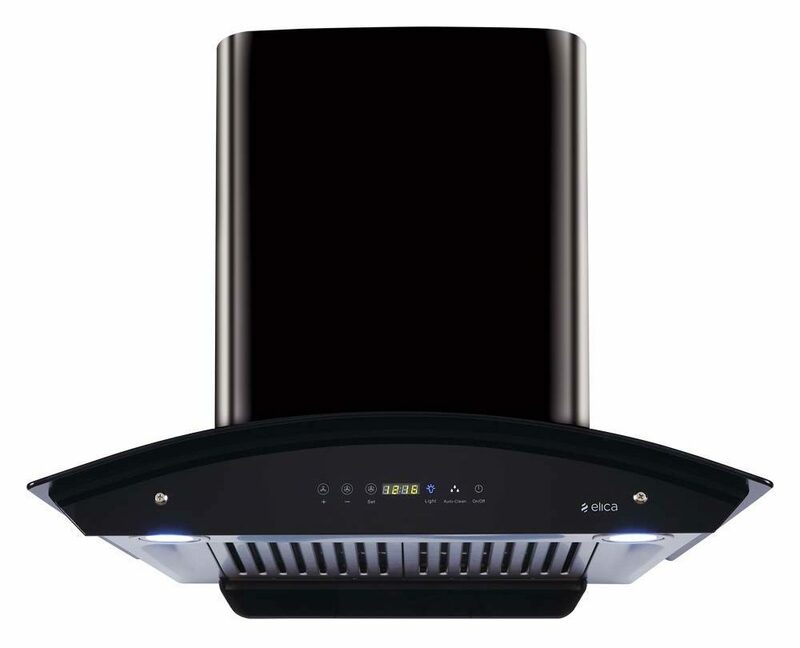 Buying an auto clean kitchen chimney does make better sense over buying a regular one. You save a lot of time and effort required to clean them regularly. This particular model by Elica (It is also available on Flipkart, Click Here to compare prices) is of the top selling models in India. It is small, powerful, cost-effective and will fulfil the needs of most Indian kitchens. 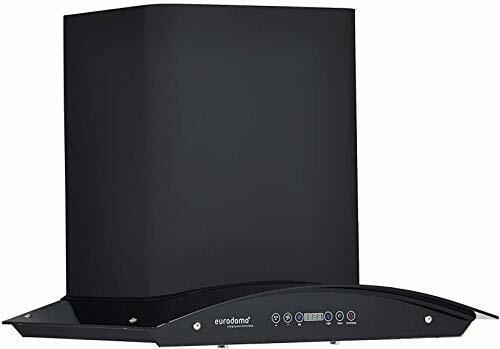 For someone who is looking to buy a slightly bigger model (90 cms) can opt for this model by the company Eurodomo. The product has a really good design and good functionality. Do Read – Elica vs Faber, Which is the better Brand? So, let’s start off with the list. I will begin with the model that I recommended in the summary section above. 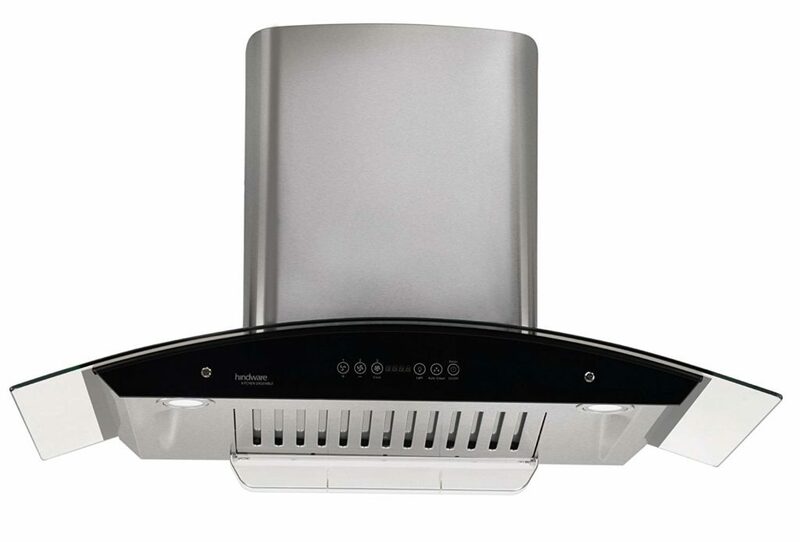 When you discussing kitchen chimney, Elica as a brand will surely be talked about. This brand and this particular model is amongst the top-selling products in this category in India. A good looking product with a glossy black finish to it. It will go well with most kitchen designs. The product uses heat auto clean technology and has 2 baffle filters. TIP – People looking to buy Hob and Chimney combo can Read This Article for Recommendations. Not many will think fo Eurodomo as their first choice, however, their products have been getting a lot of positive response from Indian customers. This one is a slightly bigger model compared to the one by Elica that I showcased above and can be easily used even on top of a 5 burner kitchen hob. For someone who is looking to buy a silver coloured chimney, this product is a good option. However, do note that there is a major difference between this product and the two mentioned above. This product uses water clean technology while the other two on top use thermal auto clean technology. I personally would prefer a thermal one since you do not need to clean it so frequently. Based on your usage, you might need to clean this product on a monthly basis while the ones above can be cleaned once every three to six months. The sizzling spices and crackling corns are the everyday sounds that come from an Indian household. The passion of cooking mixed with the love of food creates a wholesome combination. The innovative world is making leaps and bounds in every field. There was a time when only a tube was used to draw out smoke from the houses but later vertical columns near stoves, furnaces and fireplaces were used for ventilation purposes. Even now, companies are reinventing kitchen appliances every day and chimneys are no exception. It makes sense to equip your kitchen with the best products to shorten the time spent in the kitchen. That’s where auto clean chimney gets its reference from. With every passing day, a new innovation for the kitchen has made everyone’s life easy and cooking less time-consuming. With less time spent in the kitchen, cooking has become fun and quick for everyone. Auto-clean chimneys do just that! Why chimneys are important in an Indian kitchen? Indian foods have more oil in them than any other cuisine. Chimneys are used to get rid of smoke and oil particles accumulated in the air. They are placed over the stove or fire furnace mostly because that’s where the concentration of smoke is higher. An Indian kitchen needs a functioning chimney more than anything else. Over time, chimneys have changed its appearance but the basic function remains the same. What is an auto clean chimney? Nowadays, the latest developments in the kitchen appliances include auto-clean chimneys! But what is an auto clean chimney? An auto clean chimney is just like a normal chimney but innovative additions have made it famous among housewives and professionals alike. It’s doesn’t require periodic cleanup. These chimneys have filters that sunder out oil particles from the fumes and store them in the oil collector. These oil particles are extracted from the fumes passing through Aluminum non-stick turbine blower with the help of the centrifugal force. Centrifugal force pushes the oil particles out of the fumes and then they are collected in the container where it will be cleaned automatically. There are different types of auto-cleaning chimneys such as water-based auto cleaning chimneys also known as wet auto cleaning chimneys and thermal auto cleaning chimneys. They have a collector filled with water so whenever you press auto-clean; the hot water is sprinkled through the ducts that clean oil and grease in the filters. These particles are collected in the tray or collector placed on the side wall of the filter. These have a heating coil instead of the water sprinkle and these coils get heat up whenever you press auto-clean. After pressing auto-clean, the oil accumulated in the oil collector melts and is collected in the cup or tray from where it can be removed or thrown out. The thermostat auto-clean chimney is cleaned less frequently than the wet auto-clean chimney. They are also expensive than the rest of the chimneys. In this age, everyone wants quick fixes and fast progress. We have taken time is money to a whole another level and saving time in the kitchen is no easy feat. No one wants to rub the walls of their kitchen and chimneys when there are better ways to clean them. Saves Time: Auto-clean chimneys save your time by doing all the labour. You don’t need to take out a bucket of water and scrub it clean. Just press the auto-clean button and it will get rid of all the oil particles and smoke collected in the oil collector and chimney. Easy to Clean: the waste product will be gathered in a separate cup or tray near the chimney which you can remove and change when it’s full. Most auto-clean chimneys give extra waste cups and trays with the chimneys. Better performance: Since filters are not clogged, auto-clean chimneys have better suction power. There is not much bad to say about auto-clean chimneys because unlike manual chimneys you don’t need to do all the work by yourself and its convenient and less time-consuming. If you compare auto-clean and regular chimneys then you can easily conclude which one is better for you. The auto-clean chimney has an oil collector where oil particles are collected. It is detachable and can be changed easily when it starts lacking in performance. On the other hand, regular chimneys have no such facility. Oil and dust particles get stuck in the filter which affects the performance of the chimney. The auto-clean chimney has better suction power; the centrifugal force keeps the oil particles in the collector which allows the filters to perform better. On the other hand, regular chimneys’ filters cannot show their best performance because of the oil particles clogging it. The biggest advantage that auto-clean chimneys have over regular one is the cleaning process which is quite self-explanatory. You can remove the oil collector and get rid of the waste easily while using auto-clean chimneys but with regular chimneys, you need to clean the whole chimney and unclog the filters which require professional cleaning service. Moreover, you can just clean or change auto-clean oil collector twice a month but with regular chimneys, you need to clean it more often for it to perform better. The only thing that can deter you from buying auto-clean chimney is the price. They are more expensive than regular chimneys. But regular chimneys need maintenance service more often than the auto-clean chimney so even if it costs less; it’s not an ideal purchase. There are many Indian brands offering the best auto-clean chimneys. You can compare the prices and the facilities offer to know which one these brands cater to your needs. Now that you know everything there is to know about Auto-clean chimneys, you can make your purchase and enjoy a hassle-free cooking experience!